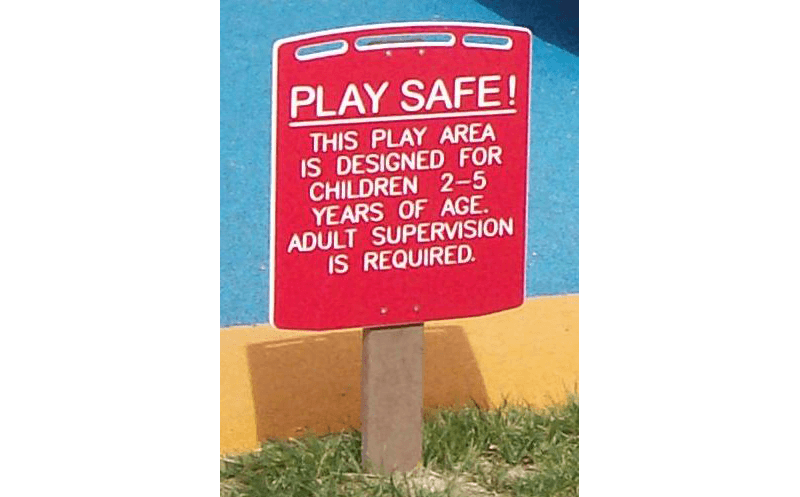 The Playground Safety Sign is designed to inform anyone entering the preschool outdoor playground or using the outdoor learning equipment, such as staff, parents and the community what age the playground area was designed for and that adults need to supervise children when using the playground. Signs come in three options: 6 months to 23 months; 2-5 years; and 2-12 years of age. Consult your playground instructions to match your preschool playground equipment with the appropriate age group.